A new initiative from the World Resources Institute (WRI) and the Roundtable on Sustainable Palm Oil (RSPO) aims to shed light on how individual oil palm concessions affect forest information that can empower companies to manage their forests and supply chains more sustainably. 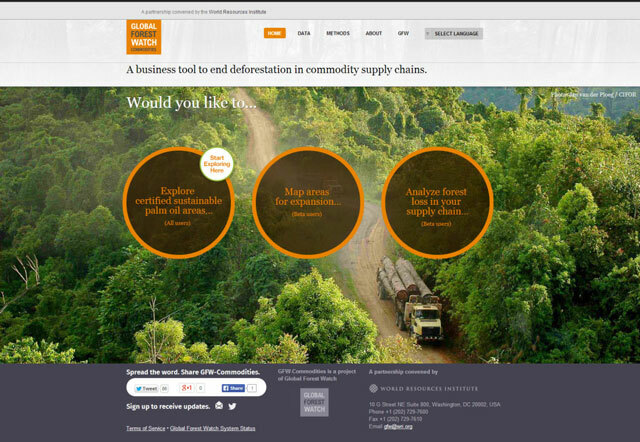 Global Forest Watch-Commodities (GFW-Commodities), a new platform produced by Blue Raster combines the RSPO’s maps of certified sustainable palm oil production sites with global forest data like tree cover loss, forest clearance, locations of primary forests and legal land classifications. 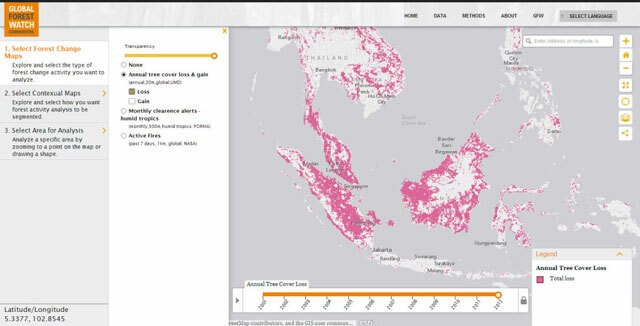 Armed with these new maps and knowledge, companies can reduce the risk that the palm oil they purchase contributes to deforestation. WRI analysis has shown that companies, communities, NGOs and different levels of government often have different information about forest use. These maps will act as a universally available, coherent and current source of information for any of these above groups to utilize in their work to make palm oil production sustainable for the environment and the communities that rely on it.